Balady International Trade Organization (BITO USA) was established in 1988 by Ed Balady, current President & CEO of the International Sales and Service of New & Used Embroidery Production Machines. 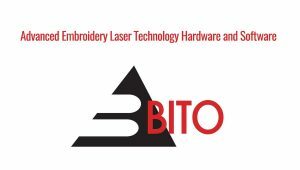 BITO USA offers only the finest lines of Textile Laser Cutting Machines, Digitizing Systems, and fine used equipment. Realizing the demanding needs of this under-served industry, BITO sought out the hiring of other top industry professionals to offer the most discriminating service in the industry. Our field service operations are staffed with the best technicians in the business. BITO runs the most disciplined service team in the industry, with an eager-to-help attitude and professional courtesy that can only be extended by people who know and care most. BITO also provides services to competing product lines. The most important goal is to get the job done right the first time, therefore achieving efficiency and ultimate customer satisfaction. BITO offers excellent financing options through some of the largest banks, funding sources and leasing companies. Depending on your financial needs, BITO can help you structure a lease that best suits your company’s needs. Whether you’re just browsing or placing an order, you’ll find us to be proactive in identifying and meeting your needs.